Hello, hello! I hope you've all enjoyed the festivities of Christmas and you've shaken off the meat-sweat's from over indulging in one too many plates of turkey (i know i have! ), I promised to share more of the #bloglove this year and i've halfway succeeded in doing so with a mini blog love series, but to round up the year, i thought it would be nice to share some of the blogs that i've absolutely loved this year on top of my yearly outfit roundup (which will be posted on Thursday!). From photography blogs, to blog's that will teach you how to bake your face, and others on how to bake a damn good cherry tart, i've sourced a good mixture of just about everything, and i've specifically made an effort to include a lot of 'smaller bloggers' as i know how awful it can feel when you're putting your all into something and feeling like nobody is reading. 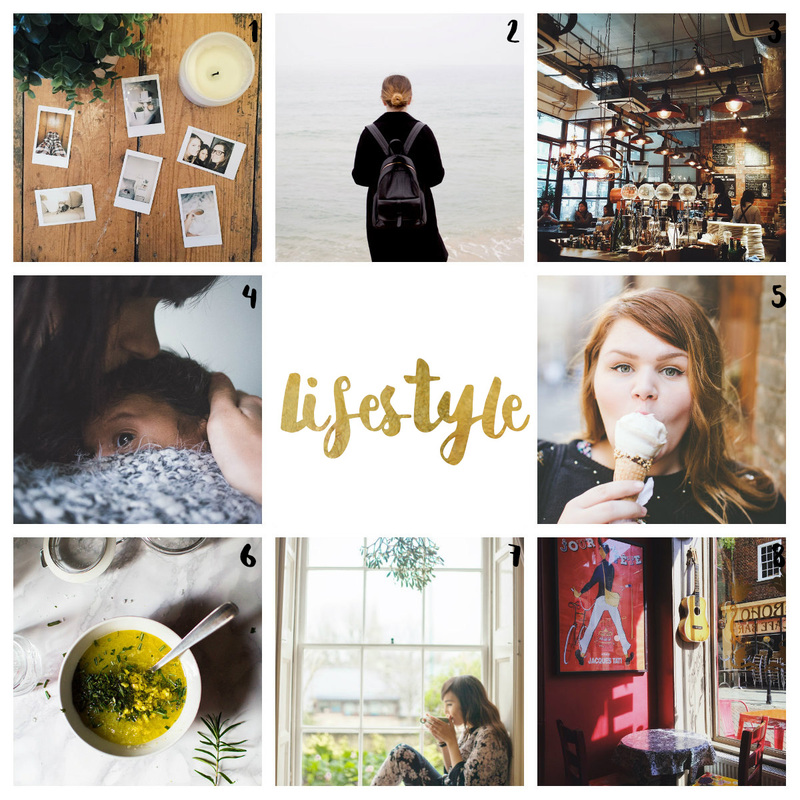 This by no means is a finished list, and i find amazing new blogs everyday, but i realise that this is the internet and ain't nobody got time to read my 500 bloggers I love post, so this concise list of about thirty two shall have to suffice. To save time, i've also added a very brief sentence or two about the content of their Blog's / Websites / YouTubes so you can get a taste for what they are about. 1. Emma Block - Beautiful watercolour based illustrations | 2. Andsmilestudio - Adorable paintings and an even cuter selection of brooches and more on her blog shop! | 3. 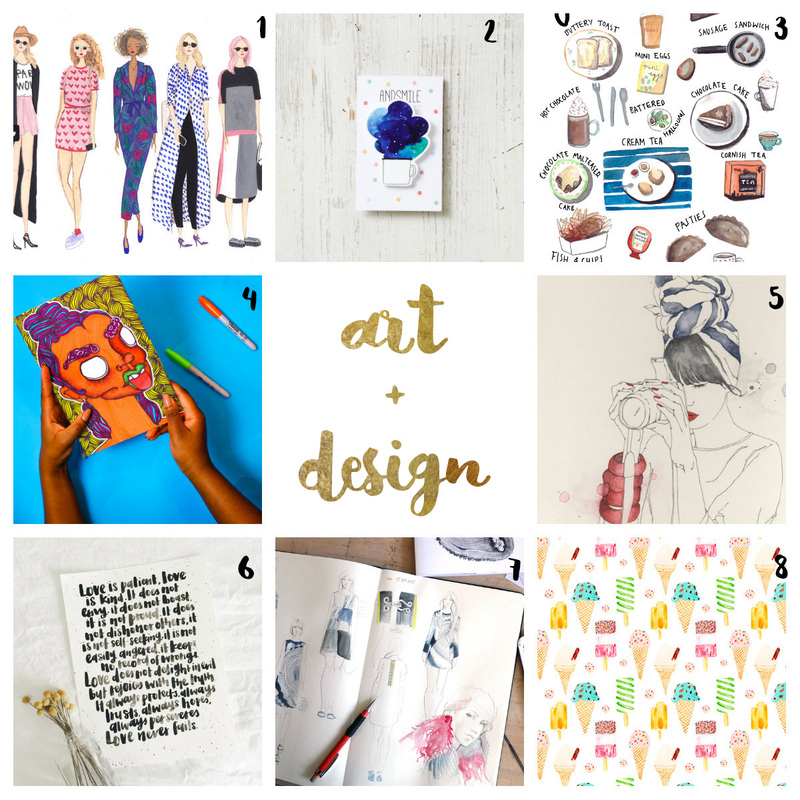 Ella Masters - A very sweet and touching lifestyle blog interwoven with detailed illustrations and personal words. | 4. Sheridadaily - Bright and Bold graphic work. | 5. Emma Leonard - Feminine and delicate drawings | 6. Spoiltbytes - Incredible brush lettering | 7. Willa Gebbie - Absolutely stunning high fashion illustrative work | 8. Cardboardcities - Playful and fun collages and patterns. 1. Freddie Harrell - Big hair, bright clothes and a loveable personality | 2. Lady Moriarty - One of my favourites for years, incredible style. | 3. Rebecca Cohen - Beautiful photography and lady-like style. | 4. Jordan Bunker - Another photography whizz, dapper, cool and laid back. | 5. Kristabel Plummer - Colour meets knitwear in London. | 6. Typhaine Augusto - French coolness all the way. 7. A Clothes Horse - Rebecca's photography is phenomenal, much like her style. | 8. Megan Ellaby - In two words? Utter Babe. 1. Little Winter - An honest, thought provoking and very relatable beauty of a blog | 2. Bloomzy - Life in London filled with food, fashion and musings. | 3. Daisybutter - Books, life, writings and musings with lovely photos in between. | 4. Natachabirds - Family life, photography, art and illustration. | 5. Hjartesmil - A breathtaking photo diary of a Norwegian in London | 6. Miel Cafe Blog - Life in Milan interspersed with Food, DIY's and photography. | 7. On Serpentine Shores - This blog makes me want to pack up my stuff and leave the city for a quieter life by the sea, lovely photographs full of warmth. | 8. The Cafe Cat - Tea, Coffee, Pastries and lovely spaces and words. 1. The Lovecats Inc - A huge wealth of detailed and non biased beauty reviews photographed beautifully. | 2. 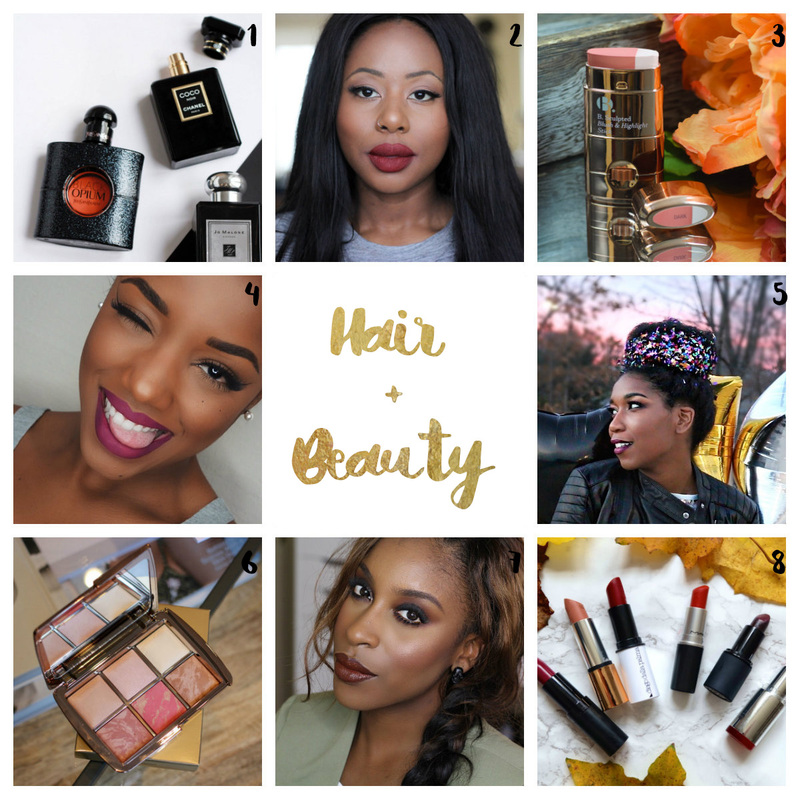 Discoveries of Self Blog - Beauty for us UK based darker skinned ladies, lot's of helpful 'on face' swatches. | 3. Epiphanniea - A very helpful blog, with a swatch gallery going from pale skin to dark skin. | 4. Ellarie - Awesome quickie instagram tutorials. | 5. Naptural85 - One of my favourite natural haired YouTubers, clear easy to follow videos and beautiful hair. | 6. Lily Pebbles - An Oldie but a goodie. | 7. Jackie Aina - One of the most hilarious beauty guru's out there, she has brilliant videos on things like hyper pigmentation and colour correction. | 8. Danielle Vanier - The Lipstick Queen. She always has the most beautiful lipsticks on her lips and her makeup is always immaculate. 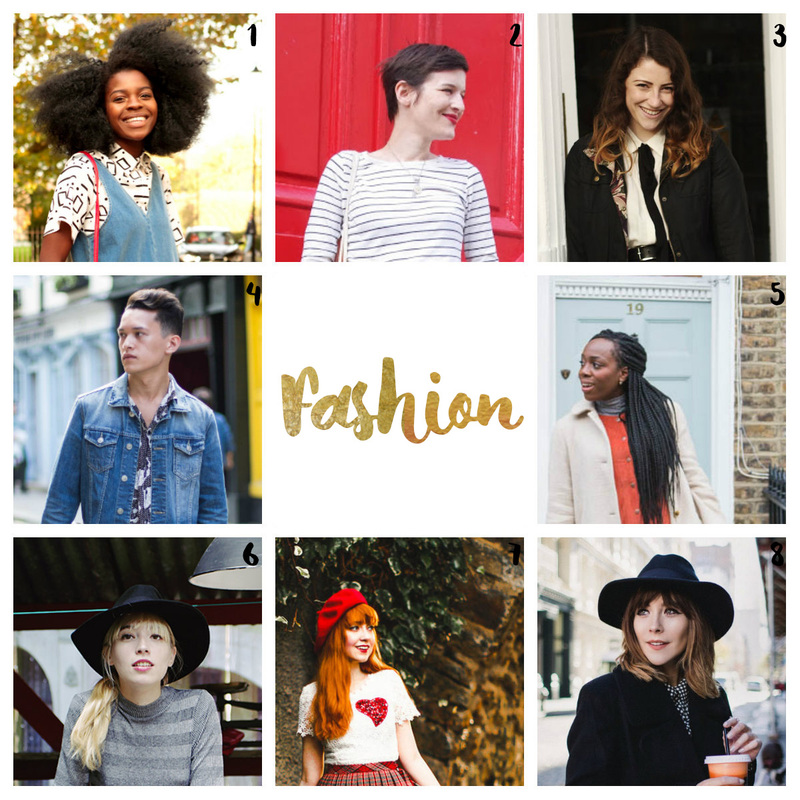 Let me know who were your favourite bloggers this year and why. Let's continue to share the love and support one another! ooh excellent. Checking out so many of these! Ooh, thanks for sharing - so many blogs new to me. Excited to check out! 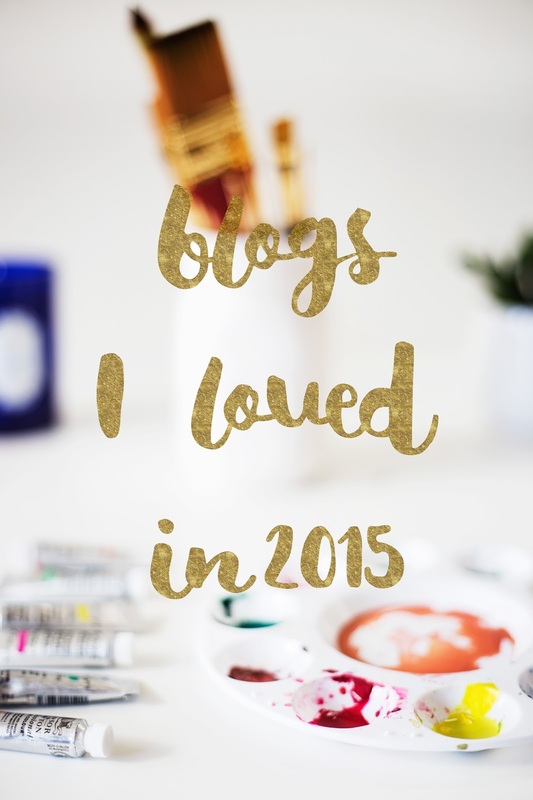 Yaaay...so many new blogs for me to have a look at, definitely bookmarking this post. Thanks so much for sharing these :) I'm always looking for new blogs to read (especially since so many seem to be hanging up their hats this year) and this is a wonderful list! Thanks so much for including me in this wonderful list you absolute babe!! !